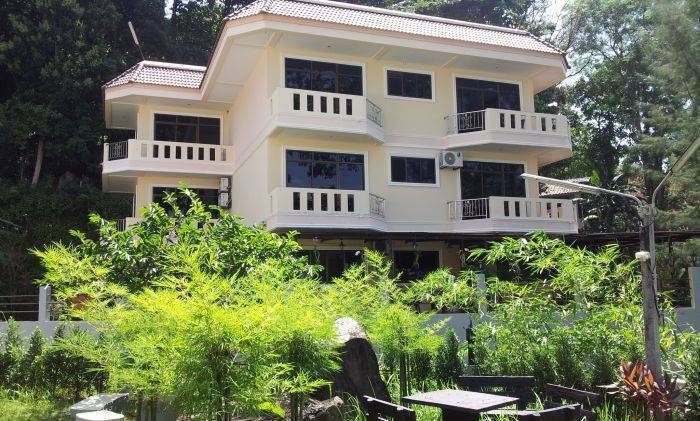 Situated just up a hill from the busy Nanai Rd the Feng Shui House overlooks most of Patong. 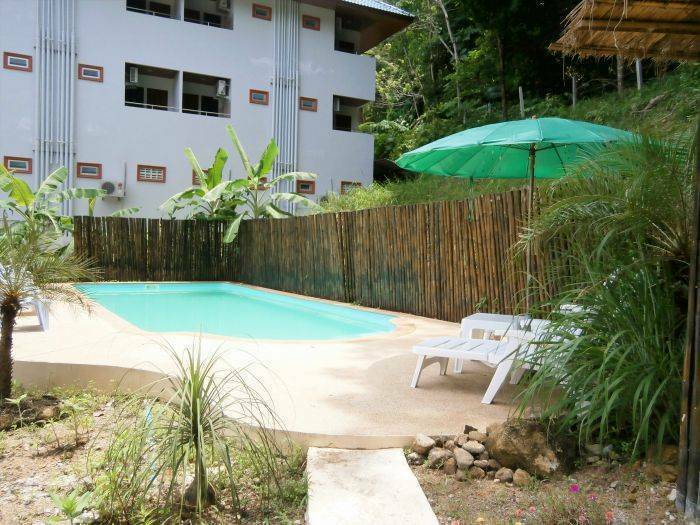 At night you can really enjoy the peace and quiet like no other because the Feng Shui House is a standalone building with the jungle literally a few meters away. We can guarantee you a good night and morning sleep which is a true luxury in Patong - Phuket's number one party spot. No cars, no bars, no crowds, no loud singing or unwanted nuisance around us. No loud street noise, just a Feng Shui oasis on a hill. 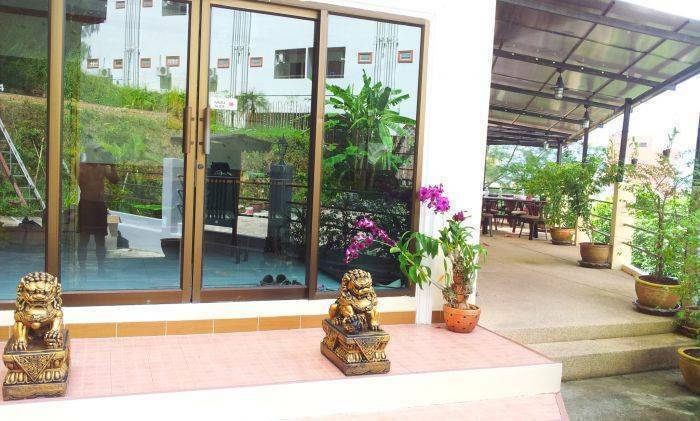 We currently have a total of 12 rooms ranging from 25-33m2. Here the idea is to give our guests a feeling of comfort and relaxation. 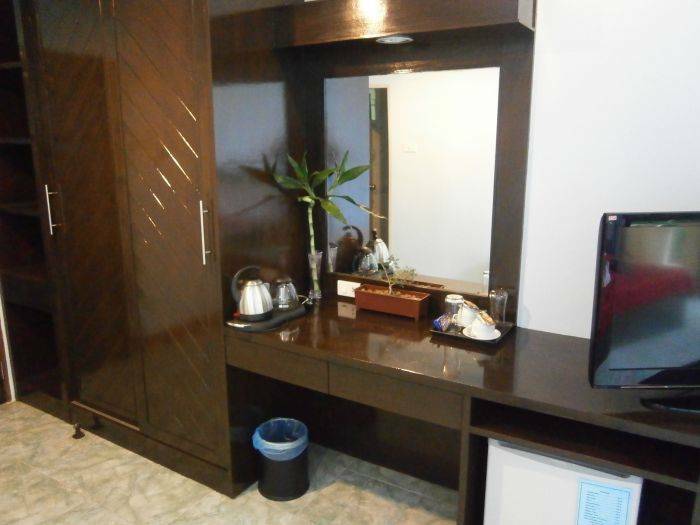 Rooms are cleaned on a 3 day basis for short term and weekly for long-term. We have learned this is preferable over every day cleaning to most customers. Soothing colors along with clutter free rooms is the setting of choice and moderation plays a key role. 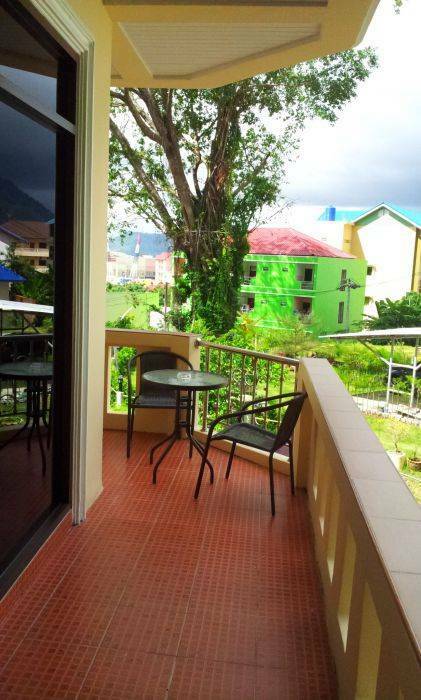 Standard Room features a balcony with city/garden view. It is fitted with a 32-inch flat-screen cable TV, safe, minibar(during high season) and electric kettle. Good sized en-suite bathroom. Superior rooms with panoramic views over the pool/mountain/garden/city and Superior without panorama balcony. Features the biggest en suite bathrooms which also have views over the garden. Good sized en-suite bathroom. 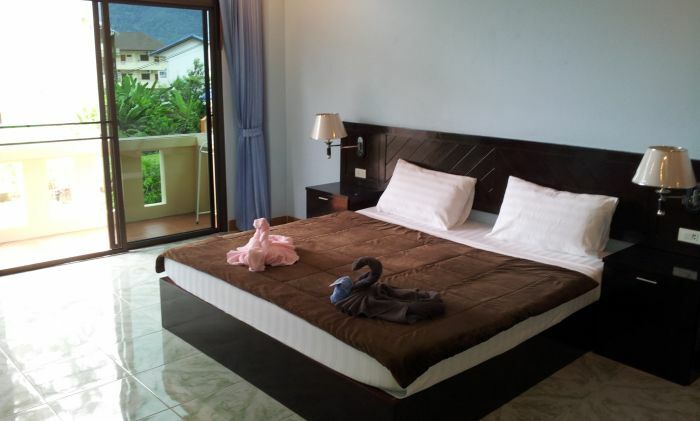 Family rooms are the most spacious and have a large balcony with panoramic view over the pool/mountain/garden/city. It is fitted with a 32-inch flat-screen cable TV, safe, minibar(during high season) and electric kettle. Good sized en suite bathroom. The ever busy Nanai Road is about 100 meters from our doorstep. 2-3 min away there is a day/night market in Soi Banzaan which is right nearby the big Jungceylon shopping mall. From there it is another 2-3 min to Bangla Rd which leads straight to Patong Beach. Free cancellation up until 7 days before check-in date. From Sai Nam Yen Road or Soi Banzaan take right into Nanai Road. After a few minutes you will see a big sign 'Green Mango' and this is where you take a left into Soi Baan Kanchana 2 and go 100m staight up the hill.